Panchase Danda (hill) stretches around the western edge of Phewa Lake. The trek is through dense rhododendron and orchid forests in the first half, and an inhabited ridge on the last half. From the delightful grassy camp at Patali Kharka there is a view of Machhapuchhre and the Annapurna Range. The trail gradually ascends to the highest point on this trek at Panchase Danda (2509 m). This ridge lies at the intersection of routes from Syanja, Parbat and Kaski. The trail descends and joins the popular Pokhara – Jomsom route. All along the trail there is are excellent views of the valley and mountains until the trek ends at Sarankot before descending down to Pokhara. 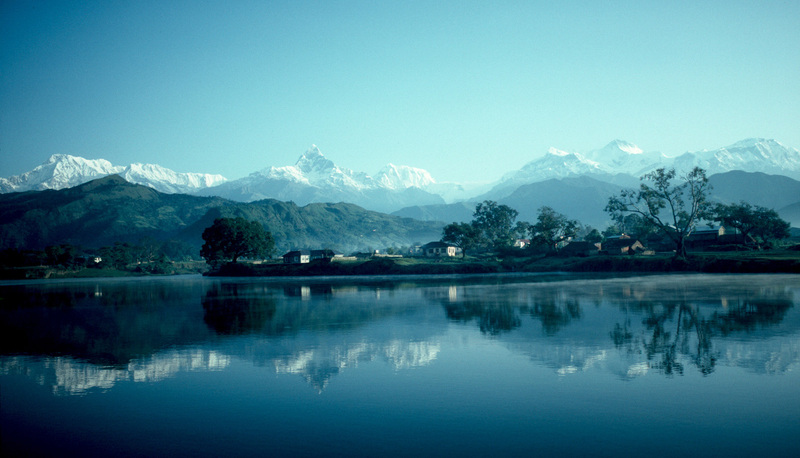 Beautiful view of the mountains range around Pokhara.